The government is today empowering more officers to authorise enhanced stop and search powers as part of continued action to tackle knife crime. The changes apply to seven police forces who collectively account for over 60% of total national knife crime and will result in at least 3,000 more officers being able to authorise section 60. The changes will run for up to a year, including a review after 6 months. These changes will support police officers tackling serious violence in the worst affected areas. Stop and search powers are an important tool in the fight against knife crime, and we will continue to drive tough law enforcement to protect the public. As a whole society we also need to take a hard look at the root causes of these crimes so we can intervene earlier and stop young people from being drawn into violence in the first place. The police are on the front line in the battle against serious violence and it’s vital we give them the right tools to do their jobs. Stop and search is a hugely effective power when it comes to disrupting crime, taking weapons off our streets and keeping us safe. That’s why we are making it simpler for police in areas particularly affected by serious violence to use Section 60 and increasing the number of officers who can authorise the power. The change follows a Home Secretary roundtable with police leaders on knife crime earlier this month, where the need for this power was discussed. It also comes ahead of the Prime Minister’s summit on serious youth violence in Downing Street tomorrow. This will bring together Ministers, community leaders, agencies and other experts to explore what more we can do as a whole society to tackle the root causes of serious violence and intervene earlier, alongside tough law enforcement. 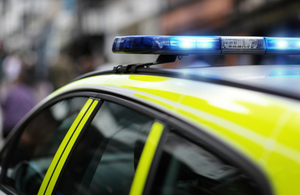 Earlier this month, the government announced £100 million additional funding to support areas most affected by serious violence, boosting policing capacity and enabling the creation of multi-agency violence reduction units. The changes to section 60 will initially apply in areas particularly affected by violent crime - London, West Midlands, Merseyside, South Yorkshire, West Yorkshire, South Wales and Greater Manchester - for up to a year. Forces are also expected to engage with communities on its use, and nobody should be stopped on the basis of their race or ethnicity. Section 60 is often used after an incident of serious violence when police anticipate reprisal attacks. The power was used to protect festival-goers at last year’s Notting Hill Carnival, where four knives and a corrosive substance were seized. It was also deployed by the Metropolitan Police and British Transport Police during a recent operation outside Stratford Station, east London, where officers seized six weapons and made 27 arrests. I welcome the Home Secretary’s continuing support for our officers using stop and search to tackle violent crime. Stop and search is an extremely important power for the police. It is undoubtedly a part of our increasing results suppressing levels of violence and knife crime. Our well-trained officers, acting on intelligence, use their powers professionally every day to remove weapons and other illegal items from the streets and to arrest violent offenders and those who habitually carry weapons. In the last 18 months we have also increased the use of our powers under section 60 to prevent further violence from taking place. We are combining this with communication and engagement, so the public feel informed and supportive of our enforcement activities to tackle violent crime. Alongside support for the police, the government continues to focus on early intervention and last week appointed charitable foundation Impetus to manage its £200 million youth endowment fund, designed to tackle youth violence.